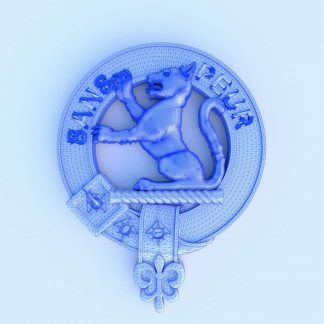 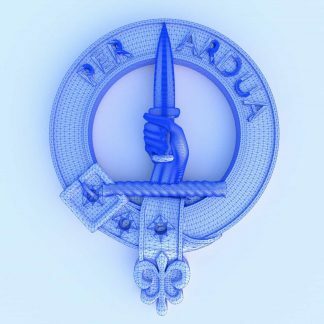 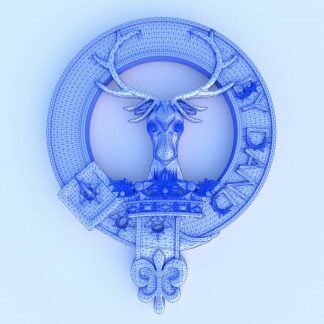 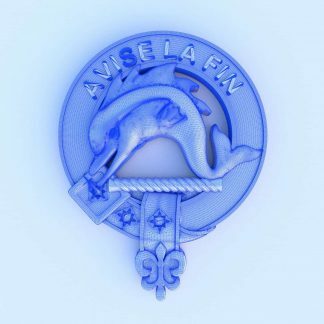 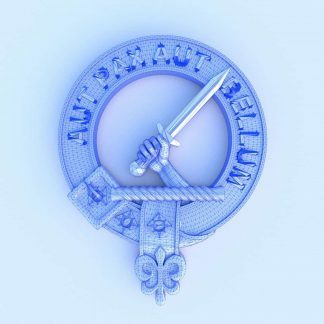 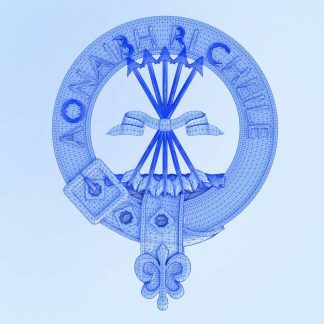 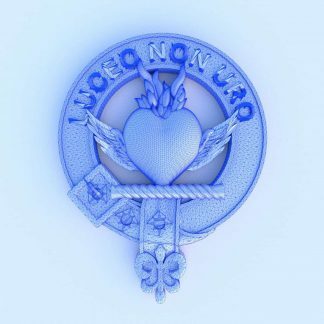 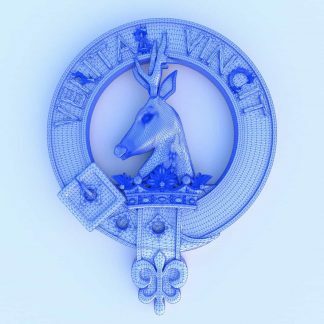 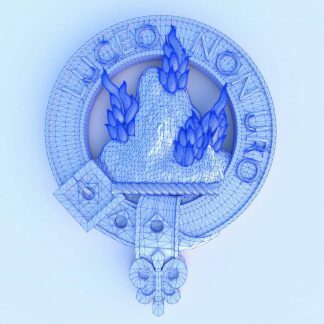 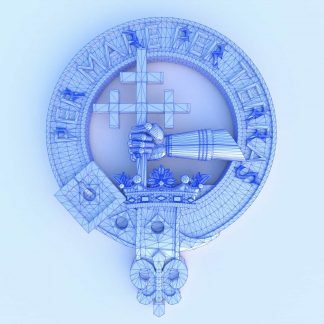 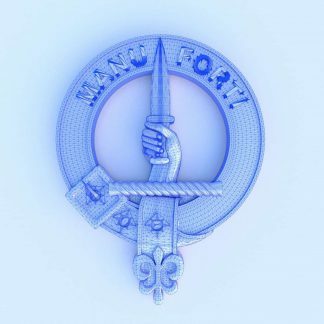 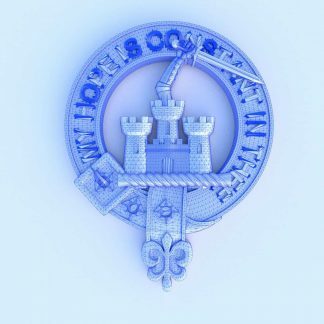 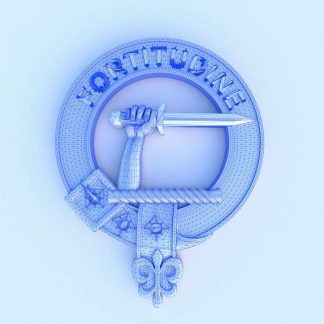 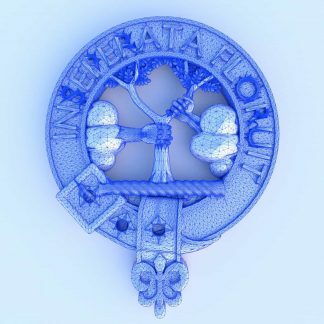 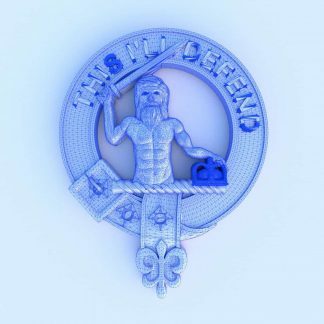 Our Scottish Clan Crest Plaques have a plain back with no hanging loops or attachments. The default size is 4.5″ wide by 6″ tall (11.4 cm x 15.2cm) but can be scaled up or down (within reason). 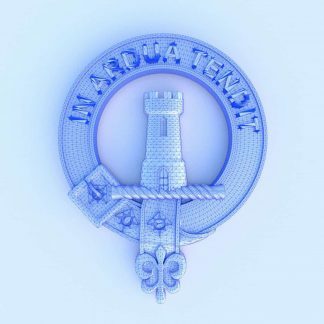 These are ideal for mounting on board or card and are primarily intended for you to 3d print and incorporate into your own craft projects. 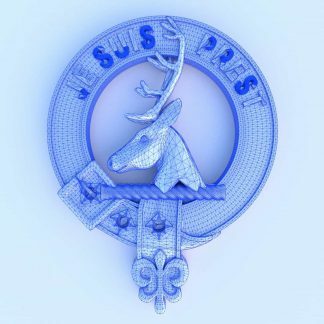 We often mount them in a box frame with either a plain or tartan background. 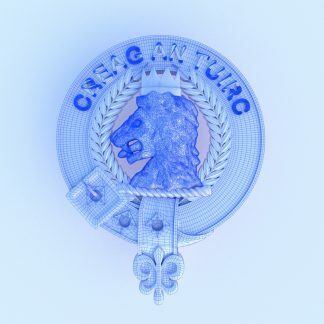 Mounting a pair of crests in a frame could be a unique and highly personal way of marking a Scottish wedding. 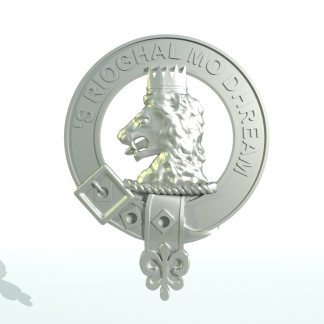 The 3d model file in .STL format. 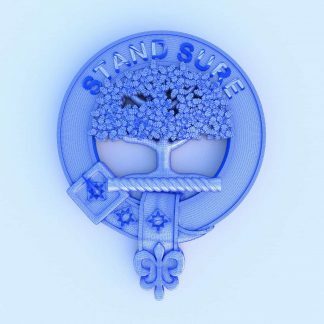 STL are widely used in 3d printing. 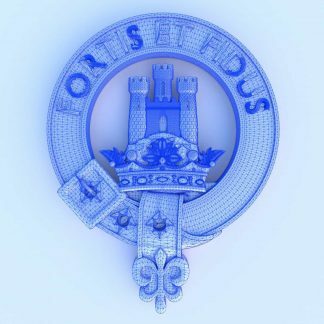 If you need another format, contact us and we will convert any of our files to a wide range of industry standard formats for free. To ensure printability, all our files have been 3d printed on our own equipment before listing.